Servicing Vehicles Under Manufacturers Warranty. We Can Service Your New Car, The Truth! 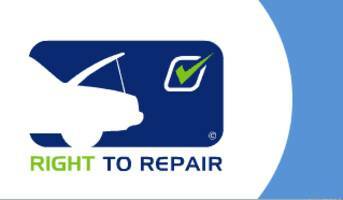 Who can repair your car? European Union competition law exists to prevent anti-competitive practices and abuse of companys'dominant market positions. But, in recognition of the unique technical complexity of their products, the motor industry has - since 1995 - enjoyed a so called 'block exemption' from some aspects of competition law. Under the Motor Vehicle Block Exemption Regulations (BER), the industry was allowed to continue to operate a franchised dealer network, controlling who would sell their products and where they could do so - a selective and exclusive distribution network in the jargon. This wasn't complete exemption though and the BER included clauses protecting consumer rights regarding service and repair. The BER were introduced in 1995 and then updated at the end of 2002. One specific requirement of the Regulations was that technical data and repair instructions should be made available to the independent motor trade (for which manufacturers could make a reasonable charge) so that car owners were not obliged to take their car to a franchised dealer for service or repair. this also ensured that data was available to motoring organisations like the AA to enable us to fix cars at the roadside. By the time the BER were next due for renewal in 2010, the new car exhaust emissions regulations had been agreed for 'Euro 5' and 'Euro 6'. These set the limits for a number of exhaust-born toxins, including particulate matter (soot) but also specified that manufacturers must make technical data and repair information available to the independent trade. The EU initially took the view that with access to technical information covered by Euro 5 and 6 Regulations and the motor industry generally working well, there was no need to renew BER. Unfortunately the Euro 5 and 6 Regulations only guaranteed the availability of technical data and repair information for cars first registered after 2009. There would be no guarantee that the independent trade and motoring organisations could continue to access repair information and technical data for vehicles registered before 2009 if the BER were allowed to lapse. The independent 'Right to Repair Campaign' eventually succeeded in having the Block Exemption Regulations renewed and improved. This ensured that technical data and workshop procedures remained available. Changes to the BER in 2002 included clauses intended to increase choice when it comes to servicing of a new car. You cannot be obliged e.g. as a condition of warranty, to have your car serviced by a franchised dealer. Other changes at that time permitted multi-brand showrooms and no longer obliged dealers to combine sales and service/repair – though most have continued to do so. The work can be carried out by an independent garage as long as that garage uses manufacturer approved parts and correctly follows the manufacturer's service schedule. Independent garages generally have much lower overheads than franchised dealers so their hourly labour rate is also cheaper. Although you are free to have your car serviced at whichever garage you like - and benefit from the cost savings - you can't then expect much help and goodwill from the manufacturer if the car develops a major fault just after the warranty has expired. Manufacturers often cite lack of loyalty on the customer's part as the reason for their decision not assist with the cost of a repairs after the warranty has expired.